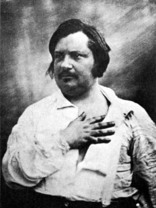 by Honore de Balzac, circa 1830s. Translated from the French by Robert Onopa; produced for the Internet by Jay Babcock. Coffee is a great power in my life; I have observed its effects on an epic scale. Coffee roasts your insides. Many people claim coffee inspires them, but, as everybody knows, coffee only makes boring people even more boring. Think about it: although more grocery stores in Paris are staying open until midnight, few writers are actually becoming more spiritual. But as Brillat-Savarin has correctly observed, coffee sets the blood in motion and stimulates the muscles; it accelerates the digestive processes, chases away sleep, and gives us the capacity to engage a little longer in the exercise of our intellects. It is on this last point, in particular, that I want to add my personal experience to Brillat-Savarin's observations. Coffee affects the diaphragm and the plexus of the stomach, from which it reaches the brain by barely perceptible radiations that escape complete analysis; that aside, we may surmise that our primary nervous flux conducts an electricity emitted by coffee when we drink it. Coffee's power changes over time. [Italian composer Gioacchino] Rossini has personally experienced some of these effects as, of course, have I. "Coffee," Rossini told me, "is an affair of fifteen or twenty days; just the right amount of time, fortunately, to write an opera." This is true. But the length of time during which one can enjoy the benefits of coffee can be extended. For a while - for a week or two at most - you can obtain the right amount of stimulation with one, then two cups of coffee brewed from beans that have been crushed with gradually increasing force and infused with hot water. For another week, by decreasing the amount of water used, by pulverizing the coffee even more finely, and by infusing the grounds with cold water, you can continue to obtain the same cerebral power. When you have produced the finest grind with the least water possible, you double the dose by drinking two cups at a time; particularly vigorous constitutions can tolerate three cups. In this manner one can continue working for several more days. Finally, I have discovered a horrible, rather brutal method that I recommend only to men of excessive vigor, men with thick black hair and skin covered with liver spots, men with big square hands and legs shaped like bowling pins. It is a question of using finely pulverized, dense coffee, cold and anhydrous, consumed on an empty stomach. This coffee falls into your stomach, a sack whose velvety interior is lined with tapestries of suckers and papillae. The coffee finds nothing else in the sack, and so it attacks these delicate and voluptuous linings; it acts like a food and demands digestive juices; it wrings and twists the stomach for these juices, appealing as a pythoness appeals to her god; it brutalizes these beautiful stomach linings as a wagon master abuses ponies; the plexus becomes inflamed; sparks shoot all the way up to the brain. From that moment on, everything becomes agitated. Ideas quick-march into motion like battalions of a grand army to its legendary fighting ground, and the battle rages. Memories charge in, bright flags on high; the cavalry of metaphor deploys with a magnificent gallop; the artillery of logic rushes up with clattering wagons and cartridges; on imagination's orders, sharpshooters sight and fire; forms and shapes and characters rear up; the paper is spread with ink - for the nightly labor begins and ends with torrents of this black water, as a battle opens and concludes with black powder. I recommended this way of drinking coffee to a friend of mine, who absolutely wanted to finish a job promised for the next day: he thoughthe'd been poisoned and took to his bed, which he guarded like a married man. He was tall, blond, slender and had thinning hair; he apparently had a stomach of papier-mache. There has been, on my part, a failure of observation. When you have reached the point of consuming this kind of coffee, then become exhausted and decide that you really must have more, even though you make it of the finest ingredients and take it perfectly fresh, you will fall into horrible sweats, suffer feebleness of the nerves, and undergo episodes of severe drowsiness. I don't know what would happen if you kept at it then: a sensible nature counseled me to stop at this point, seeing that immediate death was not otherwise my fate. To be restored, one must begin with recipes made with milk and chicken and other white meats: finally the tension on the harp strings eases, and one returns to the relaxed, meandering, simple-minded, and cryptogamous life of the retired bourgeoisie. The state coffee puts one in when it is drunk on an empty stomach under these magisterial conditions produces a kind of animation that looks like anger: one's voice rises, one's gestures suggest unhealthy impatience: one wants everything to proceed with the speed of ideas; one becomes brusque, ill-tempered about nothing. One actually becomes that fickle character, The Poet, condemned by grocers and their like. One assumes that everyone is equally lucid. A man of spirit must therefore avoid going out in public. I discovered this singular state through a series of accidents that made me lose, without any effort, the ecstasy I had been feeling. Some friends, with whom I had gone out to the country, witnessed me arguing about everything, haranguing with monumental bad faith. The following day I recognized my wrongdoing and we searched the cause. My friends were wise men of the first rank, and we found the problem soon enough: coffee wanted its victim. 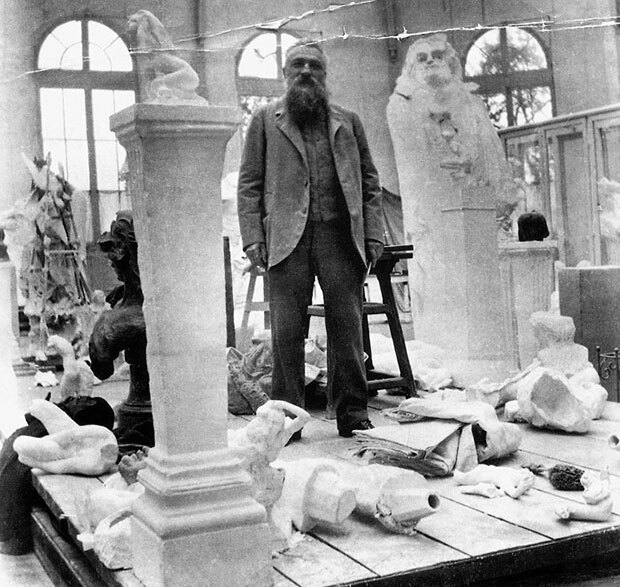 Auguste Rodin (above in his studio) took seven years to complete his statue of Balzac in 1898. It took another 41 years before it found its permanent site (1939) in a trendy part of Paris. NEAREST COFFEE HOUSE TO BALZAC’S STATUE. 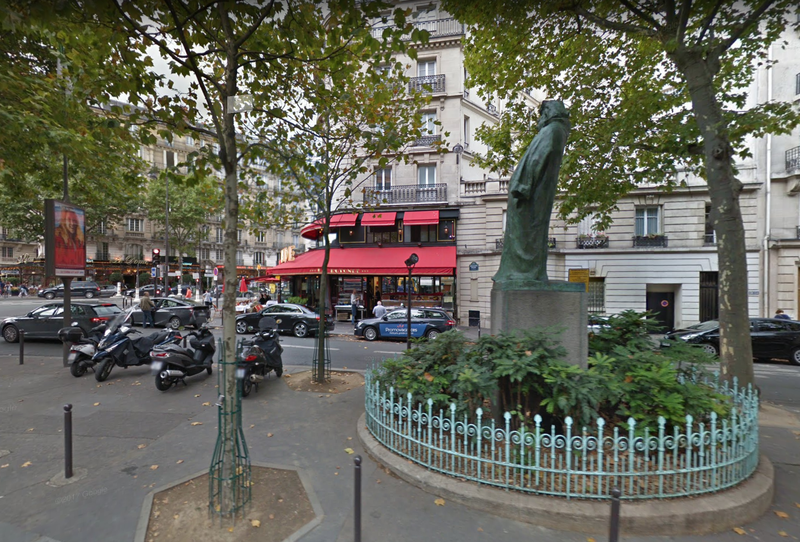 The controversial statue of Honore Balzac by Auguste Rodin is tucked away off the intersection of Boulevard du Montparnasse and Boulevard Raspail. Monsieur Balzac no doubt delights that he stands near two Paris café’s Café Dome (far left) and La Rotonde, where the coffee flows eternally. 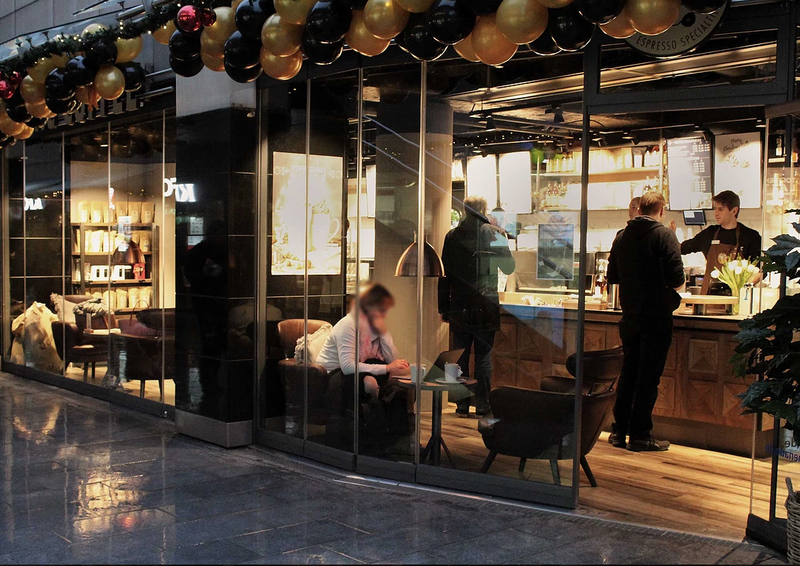 COFFEE HOUSES NAMED BALZAC (just to name 2). All over Germany. Above is located at Niki de Saint Phalle Promenade in Hannover, Germany. Canadian chain below has 14 outlets. 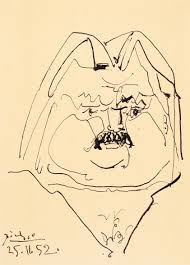 BALZAC’S FATAL BUZZ or how can a man who drank 50 cups a day ever lie down much less die? Click here for an opinion on Balzac’s caffeine OD.